Proactive Risk Management's unique approach provides a model of risk that is scalable to any size project or program and easily deployable into any product development or project management life cycle. It offers methods for identifying drivers (causes) of risks so you can manage root causes rather than the symptoms of risks. Providing you with an appropriate quantification of the key factors of a risk allows you to prioritize those risks without introducing errors that render the numbers meaningless. 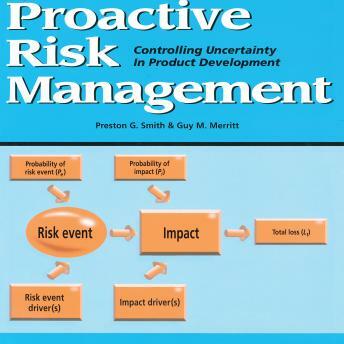 This book stands apart from much of the literature on project risk management in its practical, easy-to-use, fact-based approach to managing all of the risks associated with a project. The depth of actual how-to information and techniques provided here is not available anywhere else.